Unlike many practices we do accept aggressive pets. Some of our Doctors and staff have learned techniques to calm and safely handle aggressive or scared pets. Not all pets can be handled safely with out sedation. We are happy to provide sedation for your pet if needed. By sedating aggressive pets we can still provide the care they need, and reduce the stress and danger for you, your pet, and our staff. Additional fees do apply for this service. If your pet is identified as a biting risk you will be asked to not handle your pet during examinations or treatments. This is for your safety. In a strange environmental pets can be unpredictable. We understand you and your pet may have a special bond and you may feel comfortable handling your own pet, but serous injury can occur if you pet accidentally bites you our others. 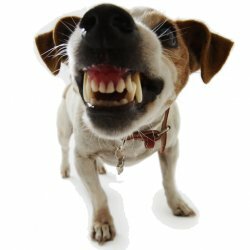 If your pet is known to have bitten in the past, or you are concerned they may, please inform our staff when making the appointment and when checking in. If your pet is aggressive to other pets we are glad to see them, but we ask that you allow us to hold your pet in our kennel until a room is available for your pets appointment. We ask that aggressive pets do not wait in our lobby. 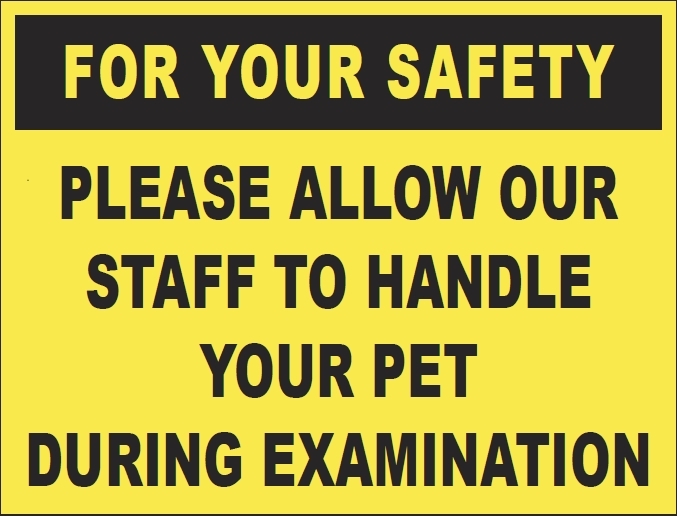 We appreciate your understanding and cooperation in ensuring our Lobby and Hospital is a safe environment for all pets and people. Regular Business Hours are M-F 7:30 till 5:30 pm. After 5:30 pm there is an additional $15.00 Convenience Fee added to exam fees. Our evening hours and the convenience fee are temporary suspended, we hope to reopen them July 2019. When bringing your pets into our office, for their and the safety of other pets, please either have your pet leashed or in a pet carrier. Please ask our staff at check in for a leash if needed. For aggressive pets Click Here for more information.